Isabel Henderson Kindergarten is committed to educating children about sustainable practices through everyday experiences. 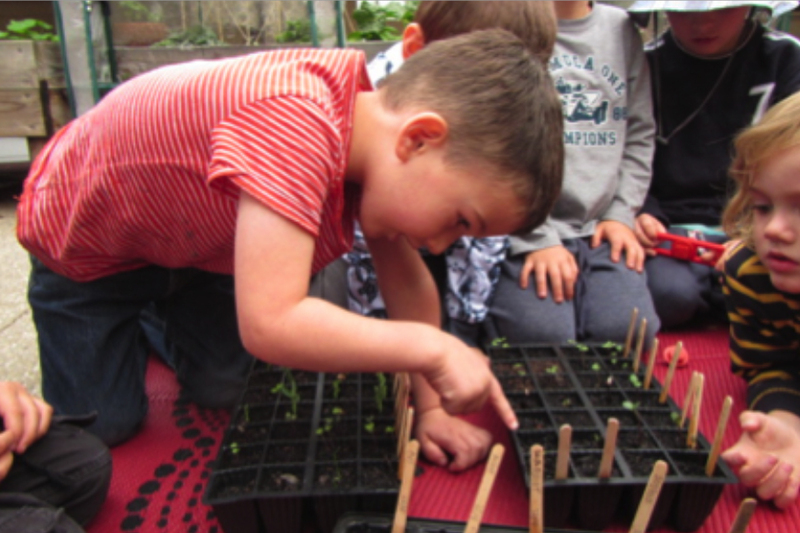 At Isabel Henderson Kindergarten we value nature and the outdoor environment and believe that children benefit from experiencing the seasonal changes, the opportunity for physical development and the opportunity to play in a garden. We believe in encouraging the children to learn about environmental and conservation issues, emphasis is placed on the use of natural and recycled materials, wise water usage, power saving, recycling, worm farming, vegetable gardening, waste minimisation and positive regards and sense of living for all things. Over the past decade we have completed a number of great practical sustainability projects from measuring our ecological footprint to installing energy efficient lighting, use of green energy, energy efficient appliances, wise water usage products, our 12500 L rainwater tank for the garden and our worm farm. Recent renovations to the foyer and ceilings also incorporated sustainable design principles and materials use. Together with the practical aspects of these projects we have also used these as an opportunity to educate the children about sustainability through class activities, foyer displays and discussion. Some of our projects will include solar panels, continuing to improve our building efficiency, the low waste lunch project and recycling. Our focus will be incorporating these practical projects within the learning journey for the children. We are also very open to suggestions from the kindergarten community for other sustainability projects.